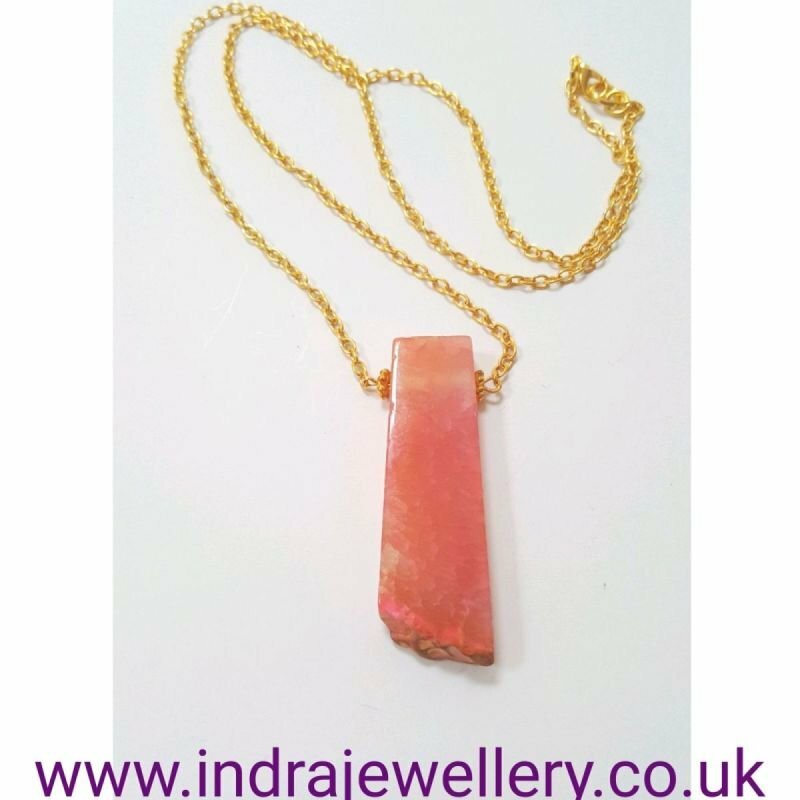 This is a really pretty and unique necklace with a beautiful natural agate pendant, The agate is an unusual pink dragon vein baton which measures 2.25" in length and is 0.75 wide, I have attached it to a 24" gold plated chain. I have added a penny to give an idea of the pendant size in the third picture. Dragons vein agate is good for improving memory and concentration, it increases stamina and encourages honesty!